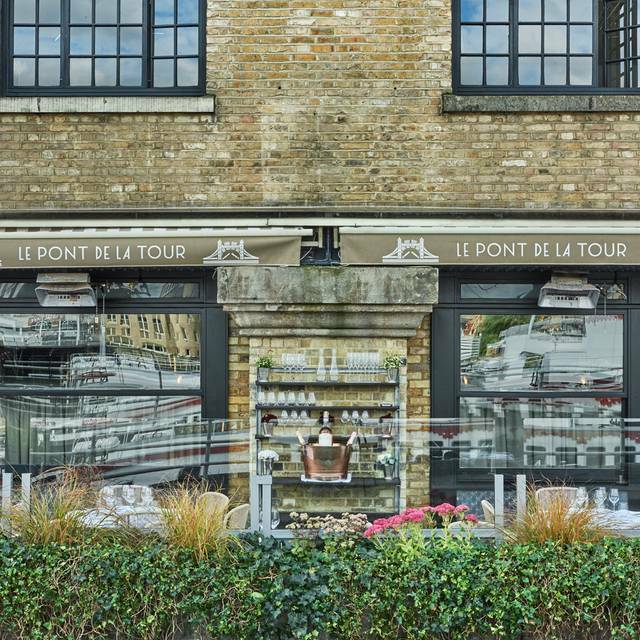 Le Pont de la Tour is one of London's most iconic restaurants. 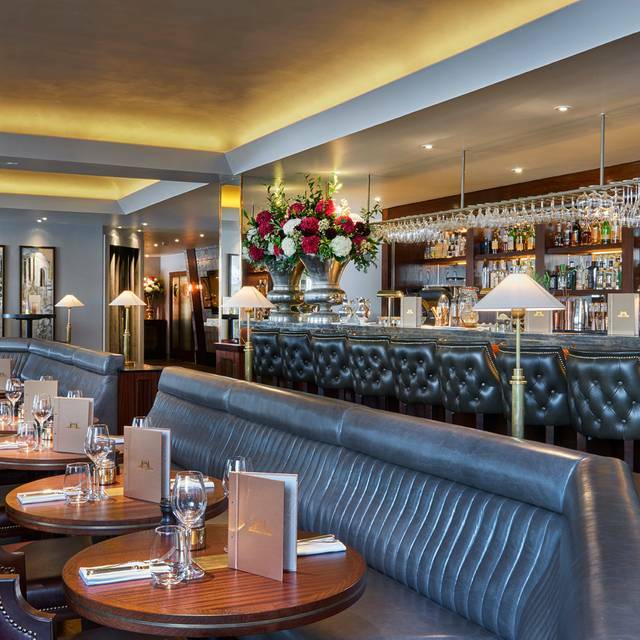 It serves fine French food in opulent surroundings and benefits from an extensive terrace and a seriously special wine list. 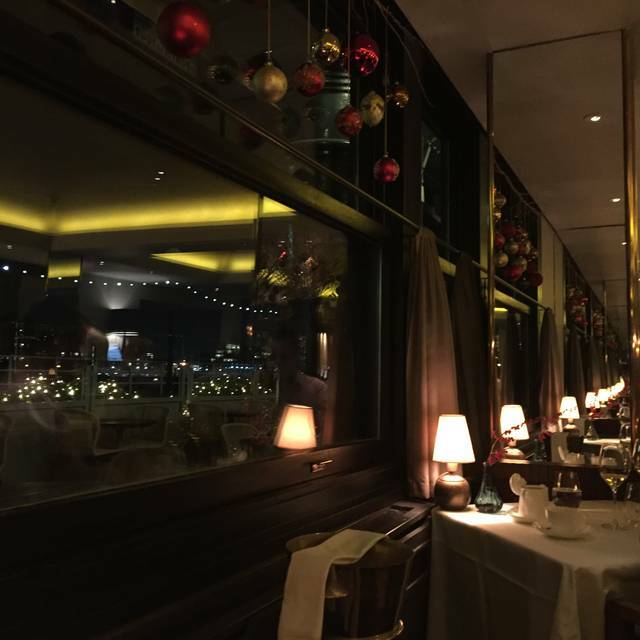 One of the most famous restaurants in London, Le Pont de la Tour has the elegance and authority of a stateroom and is complemented by outstanding modern French food and the very highest standards of service. Set Menu 2 courses £24.50, 3 courses £29.50. Maximum of 8 diners. Includes VAT, excludes service. Terms and Conditions: Maximum of 8 diners. A reduced menu will be offered for parties of 9 and above. Includes VAT, excludes service. Excellent food with good service. Special extra dessert (brownie) work 'Happy anniversary' message was a nice touch. We really enjoyed our set meal. Good quality food, service and the ambiance was very relaxing. We ordered two bottles of Chablis very good quality. We wasn’t rushed, the staff very friendly and helpful. Would definitely recommend and go back. Great meal, always consistently good. Used to use Le Pont de la tour regularly about 10 years ago. First time back since then and it is still the same great restaurant. Whole dining experience was good. Only one slight minor detail was the waitress kept trying to pour drinks and clear bits from table whilst we were eating. Apart from that, good meal, good restaurant. Will be back sooner this time! Delightful for my son’s birthday celebration. Outstanding service and truly delicious food. As always food and service were excellent, one of our favourite restaurants! Excellent in all departments, but ... outrageously expensive and the fixed price set menu for early pre theatre meals was only made available when I asked for it. Ambience was excellent for our anniversary. Nice location. Fruits de mer platter with lobster, wine, starter and desert for two was aprox 230. Service was good. Been coming here every year for quite some time. Only seated guest in half of the restaurant so my view was of the kitchen doors swinging open and kitchen staff. Dover sole was good. Not sure why they would not seat us on the other side since we were in pathway. I was nearby Tower of London with my wife and desperate for a good place for lunch during my last trip to London. When I opened the OpenTable app this was one on the top list. Decided to book the last table available and I can say it was an amazing experience. From service to food, a wonderful French menu with the view of river, the Tower and the Bridge. Little pricey, maybe, but completely worth. Very nice place and service, but service was better the previous time I was there with my boyfriend. Fantastic food langoustine and lobster delicious and fast efficient service will be returning soon. Went for valentine’s day diner with my fiancé. Terrible service! Too busy, too crowed! Totally not worth the money spend! Example of over promising and under delivering.... was sat at a corner with absolutely no view and waiters passing behind me every 30 seconds with other people’s food. Received absolutely no attention from the waiters. All of them seem inexperienced. The place is over crowded, optimised to sit maximum number of clients for profit, lacking the right level of service. The manager/owner just want to use this opportunity to maximise the profit, didn’t provide any special occasion feeling at all. Perfect restaurant in every way. Absolutely delicious menu for Valentines night dinner - oyster/foie gras/halibut. 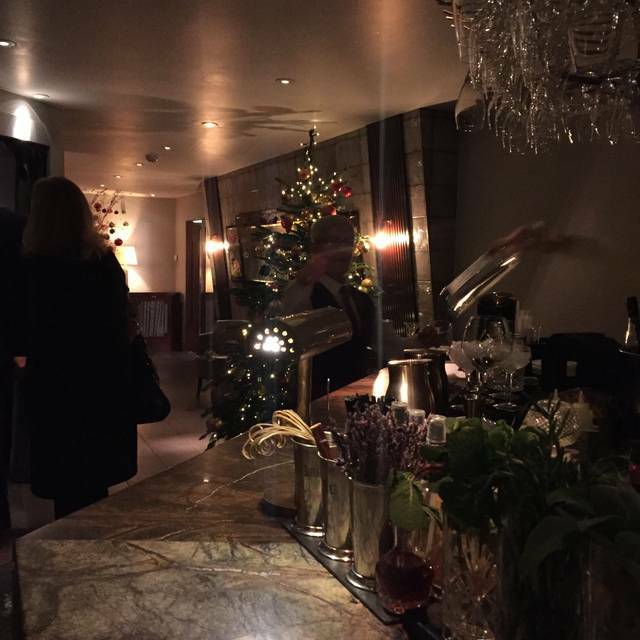 Relaxed but hi-end decor, lovely staff, great by-the-glass wine and champagne list. I was so pleasantly surprised and will definitely recommend/return. We were eating pre-theatre and the food was excellent. Wine choice was eventually made though we were disappointed that our first two choices were not available. I really enjoy eating at this restaurant with its lovely views and good service and will undoubtedly return. Lovely meal at Le Pont de la Tour. Food was excellent and it is lovely to be in a quiet venue where we could hear one another. A bit frantic at the end to get to the theatre despite saying to the staff we needed to elave in good time. 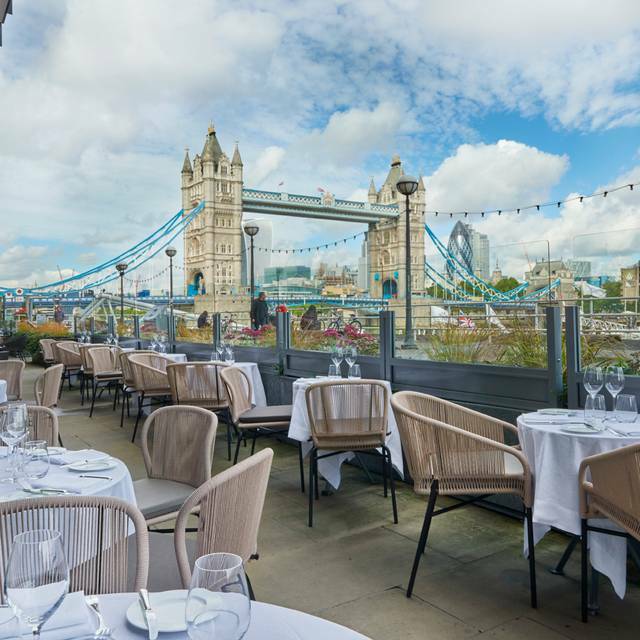 This restaurant is in a brilliant location right next to tower bridge. We had a great table by the window and could easily watch the world go by. Service was a little slow at first but improved as time we went on, if a little over fussy. Potions were a bit on the small size for some, but we felt they were just right as we hate feeling bloated. We had to keep choosing wine as my first three choices were not available and we're reluctant to spend £50+++ on wine we no nothing about. The food was beautifully presented, but I was suprized that my lemon tart was so deconstructed it wasn't recognizable, tasted ok though. My husband and I had a nice dinner here recently and the value offered by a special promotion menu was fantastic - particularly notable because it is an expensive restaurant. They accommodated our special request without any problem and the food was really lovely. 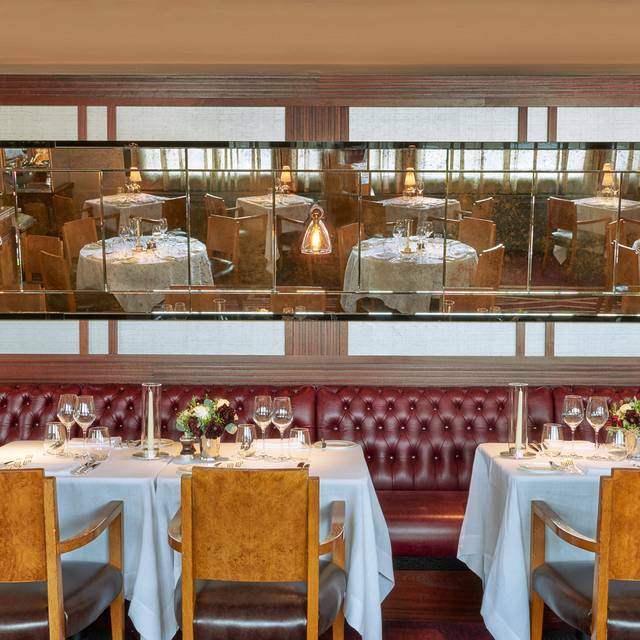 My only complaints focus on the slow service - the wait staff was very solicitous and knowledgeable; it was more the senior level staff that left us waiting for our bill forever - and the ever rising noise levels in a room that doesn't have great acoustics. However, we wouldn't hesitate to go back again. 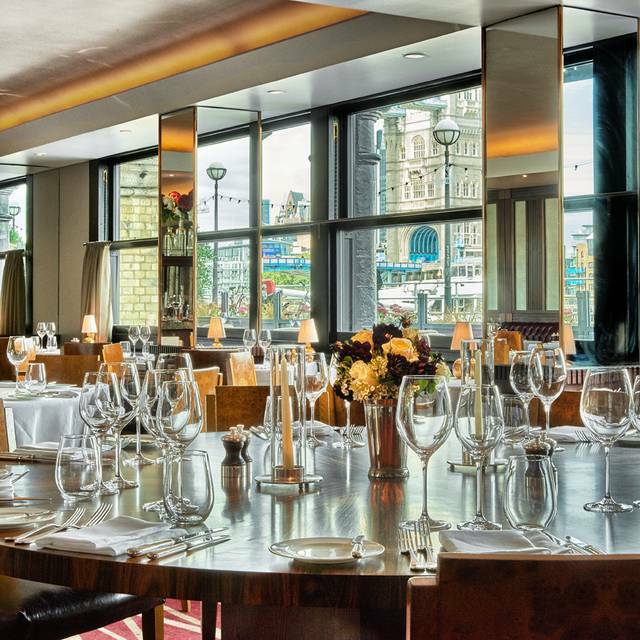 Fabulous food in a cosy setting with great views of tower bridge. If you want classic formal french, this is a good bet. Set menu was good value. Service wasn't that great - lots of people but felt like they were all in training e.g. wine waiter had no clue, e.g. had to wander about to try to find someone to seat us, e.g. several order mix ups. 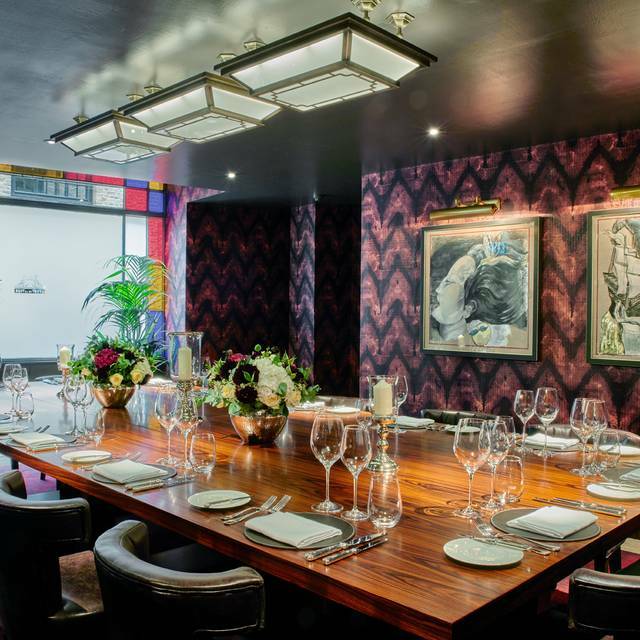 I chose Le Pont de la Tour for a special family lunch following my MBE award. I reserved months in advance and was pleased to find the reservation was confirmed by a member of staff the day before. We were offered a lovely table with a view of the river, just as I had hoped. 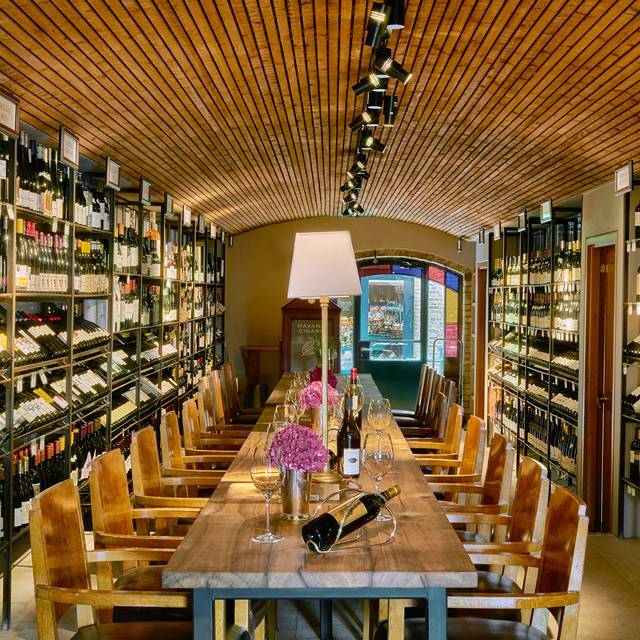 The staff were attentive and very helpful, the sommelier really advised well on the wine. The pace of service was just right and unintrusive. It was 31st January at 2:30pm so understandably guests may have finished lunch by the time we arrived, but the lack of other customers made it rather quiet and souless. At that time of day we were restricted to the a la carte menu, but we were all happy with our choices. The scallops were melt in the mouth delicious, and the Gressingham duck cooked to a perfect pink. Side dishes of vegetables are extra and rather expensive (£5 for broccoli). We also thought the wine rather over-priced and not much choice of moderately priced (nothing under £36) but for an up market restaurant I guess thats what to expect. THe food was beautifully presented, freshly prepared to order and very tasty. The cost for 5 of us with 2 bottles of wine, 3 courses and coffee was £455 including service, reasonable at around £90 a head for a very special occasion. However, for a more economic meal go at a time when the menu fixe is available and enjoy some very flavoursome and well prepared dishes in a great location for excellent value. Really excellent food with truly impressive service. With the Evening Standard offer tremendous value. And of course lovely views of the river at night. Always a great experience. The service is first class and the food is delicious. It's my fourth time there and they never disappoint me. The fois gras was amazing and the risotto with jerusalem artichoke was one of the best I've ever tried in London. The choise of wine by the glass is well balanced with the food they offer. Can't wait to go there again. Well done! Third visit and can not fault. Service, food and location all five star. Great location near tower bridge. Well presented food with good flavours. Portions small and a bit pricey, but you are paying for the views and location. A genuinely wonderful evening in a well-established venue that knows what it’s doing. A more formal venue but in no way stuffy. Food and service were particular highlights. It's a bit too expensive for what it is. The fridge cold cheese plate is outright disappointing. Half of the wine list is not available. On our visit several course from the menu were not available.